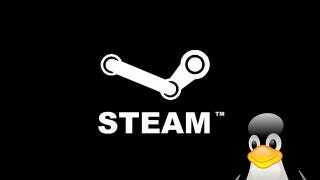 According to a report on German IT site Golem, Valve engineer Ben Krasnow told an audience at the recent EHSM 2012 conference in Berlin that the company's long-awaited "Steam Box" custom PC/console/thing will indeed be running on Linux, and will be revealed in full at either GDC or E3 later this year. Meaning the PC hardware industry as we know it probably has about six months to live. Because once a dedicated Steam PC for TVs comes out, everything changes. The mention of Linux is interesting, though. Valve are fans of the OS, and have been staunchly anti-Windows, but if any upcoming Steam hardware is indeed running on Linux, and not the OS the vast majority of people are already familiar with using, it's a brave decision. Then again, if the machine is being designed with the TV and gaming in mind, whether your word processor and Twitter client run on it aren't exactly as high a priority as they would be on a standard desktop. We've asked Valve for comment, and will update if we hear back.